or go to Account > Peers. Then click on the username you need in a list. You will see two tabs, General and Locations Access. Switch to Locations Access. 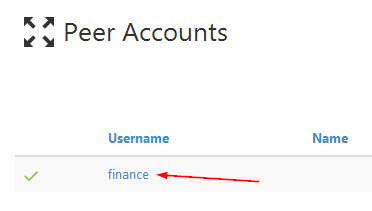 If you want this peer account to have access only for certain locations, un-check All Locations check-box. Now select the locations you need from the list. When you're done here, click either Save Changes or Save Changes and Exit. The first option will leave you at this page, the second will redirect you to the list of all peer accounts.